Have you been charged with a DWI refusal in Monmouth County? When asked to provide a breath sample did you refuse? Did you attempt to provide a breath sample but were unable to provide a sufficient sample due to a medical condition or fatigue? If you are facing a DWI refusal charge in Monmouth County, it is important that you call The Law Offices of Robert F. Black, Jr. to take advantage of a free consultation. 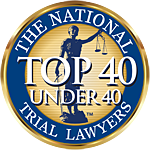 Award winning NJ defense attorney Robert F. Black, Jr. understands how difficult and stressful this time can be. You need a skilled NJ DUI refusal attorney who is willing and prepared to FIGHT for you – not simply accompany you to Court as you plead guilty. Charged with DWI refusal in Monmouth County, NJ? It is important that you understand that this is an entirely separate violation than the more typical DWI offense. While you have most likely been charged with DWI as well, a DWI refusal charge is a separate violation that carries with it separate penalties. Charged with a refusal to submit to a breath alcohol test in NJ? This offense is governed by N.J.S.A. 39:4-50.4a and provides for a loss of license of not less than 7 months along with various fines and surcharges and a mandatory-required interlock device. It is important to remember that these penalties are for the refusal alone and do not contemplate any additional penalties you may face for the actual DWI. Regardless of your circumstances, there are many things that can be done on your behalf if you have been charged with DUI or DWI refusal in Monmouth County, New Jersey. Robert F. Black, Jr. is eager to provide you with comprehensive and supportive representation and will explore all options to protect your rights – including the appropriateness of your motor vehicle stop, the accuracy and reporting of the field sobriety testing information, and the adherence to the Alcotest procedures and protocols. We understand that people make mistakes. We believe, however, that a DUI or DWI charge does not define you. Choosing the best Monmouth County DUI refusal attorney may afford you an otherwise elusive second chance. Friendly and affordable, yet NEVER compromising, our office stands ready to help. Call today for a free consultation.